Kinvara by Christine Marion Fraser was first published in 1998 and it’s the first by the author that I’ve read. I don’t know if it’s just the setting of a coastal community or what, but this really felt like Fraser was heavily influenced by Neil M Gunn’s books although her writing isn’t as sparkling as his. 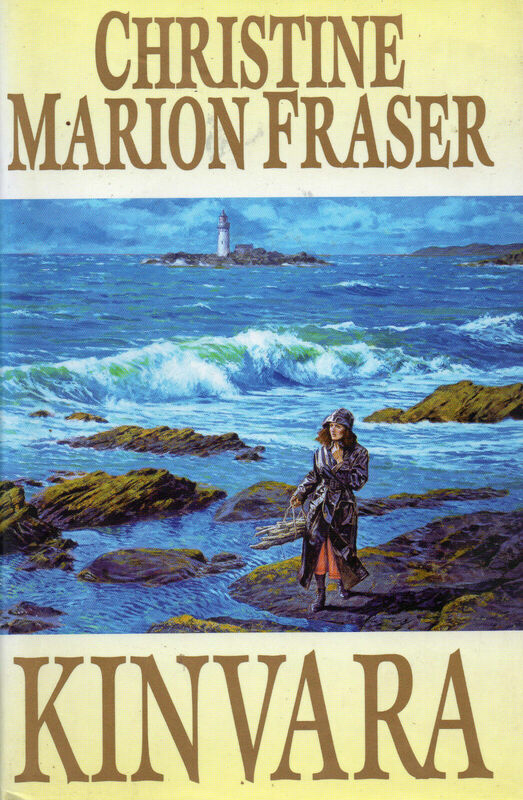 I have a feeling that Fraser could be described as being a sort of Scottish Catherine Cookson as her books seem to have been wildly popular family sagas. I admit that I’m a bit snooty about some writers and Cookson is one of them, but I did end up getting dragged into this tale and enjoyed it although I now realise there are three more books in this series, I’m not sure if I’ll continue with it though – so many books to read! The setting is the Outer Hebrides of Scotland and Kinvara is a small village, some of the men are lighthouse keepers, it begins at Christmas 1922 and Robbie Sutherland is leaving the lighthouse to travel home to Kinvara after completing his stint. He’s married to Hannah a difficult woman of the ‘own worst enemy’ variety who has been withdrawn and sullen since the birth of their son who has cerebral palsy. Robbie married her on the rebound after he had broken up with Morna who had gone back to her native Shetland. Hannah sees no point in caring for her son and makes no attempts to form a relationship with him. Robbie is at his wits’ end and as Morna has returned – with what turns out to be Robbie’s daughter, his life is a mess. The book ends in the summer of 1926 and obviously there’s a lot more to it than I’ve written, if you fancy being in the company of some funny and interesting characters and you like a Scottish setting then you might like this one. I’m a bit puzzled as to why the author called the book Kinvara as it is apparently a real place in Ireland, and she gave some of the characters Irish names too which is fairly unlikely in the far north of Scotland. This entry was posted in Books and tagged 1920s setting, Christine Marion Fraser, family saga, Kinvara, Scottish author, Scottish setting by Katrina. Bookmark the permalink.